There can be no argument regarding the potential value of social networking sites for small businesses and entrepreneurs. Social networking sites are free to use and very effective. Those two facts help combine to make very useful tools. Of course, there is also the factor that if you are not using social networking, your competitor probably is doing so, and this puts you at a considerable strategic disadvantage. Which social networking site will ultimately work best for your business has a great deal to do with issues including what you are attempting to accomplish, and what kind of clients or customers you are wanting to reach. The most important step is that you do have a social networking strategy. There is something to be said for not “putting all your eggs in one basket” where social networking is concerned. If you are thinking that Facebook and Twitter, for example, will always be highly useful tools you could be setting yourself up for a virtual fall. Remember MySpace? Yes, not all that long ago it seemed as though everyone was on MySpace, but that is not the case today, as this website’s traffic continues to drop and drop. In fact, while News Corp bought MySpace for $580 million in 2005, it was recently sold to Specific Media and Justin Timberlake for an undisclosed sum, which CNN reported was just $35 million. So which social networking site is right for you? Paradoxically, the answer to that question is that none of them and all of them. 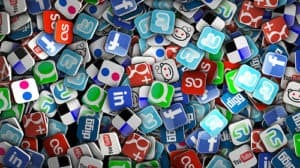 By diversifying your social networking presence, you safeguard your strategy against poor management decisions within social networking companies. For example, should MySpace have really self-destructed the way it did? How about Friendster? Of course not, but you had no control over this situation. Yet, if you’ve invested heavily in one social networking platform and essentially ignored other platforms, you could ultimately pay the price. If you are using social media to generate revenue, you need to be very careful in how you approach your social networking decisions. In short, remember to diversify in case something bizarre or unexpected happens. Currently, the social networking giants are Facebook, Twitter, and to a lesser extent LinkedIn and YouTube. There are, of course, other regional players, but those four are the most important social networking sites for entrepreneurs and small businesses. The ways that you communicate with your customers and potential customers should be as diverse as possible. You should strive to find a variety of ways to reach your customers ranging from social media to building your newsletter database and creating high quality content so that people see your website, and you, as a resource. Do this and you will be a bit more insulated from the rise and fall of the social media giants and their accompanying egos.